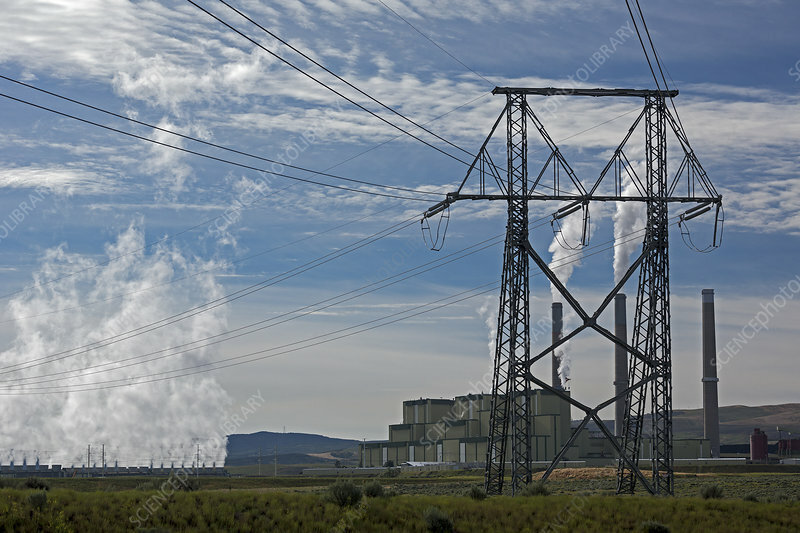 Coal-burning power station and an electrical power transmission pylon and cables. This is the Craig Station, a coal-fired power plant operated by the Tri-State Generation and Transmission Association. It was built between 1979 and 1984. Photographed in 2015, in Craig, Colorado, USA.